Isn’t it great when you find a recipe that’s easy to make, healthy, inexpensive and, on top of all that, also tastes incredibly good…the kind of good where you want to keep eating more even though you’re really full? Well, this is one of those dishes. I know that some chili aficionados think that turkey chili is for wimps, but I’m telling you, this is the real deal. 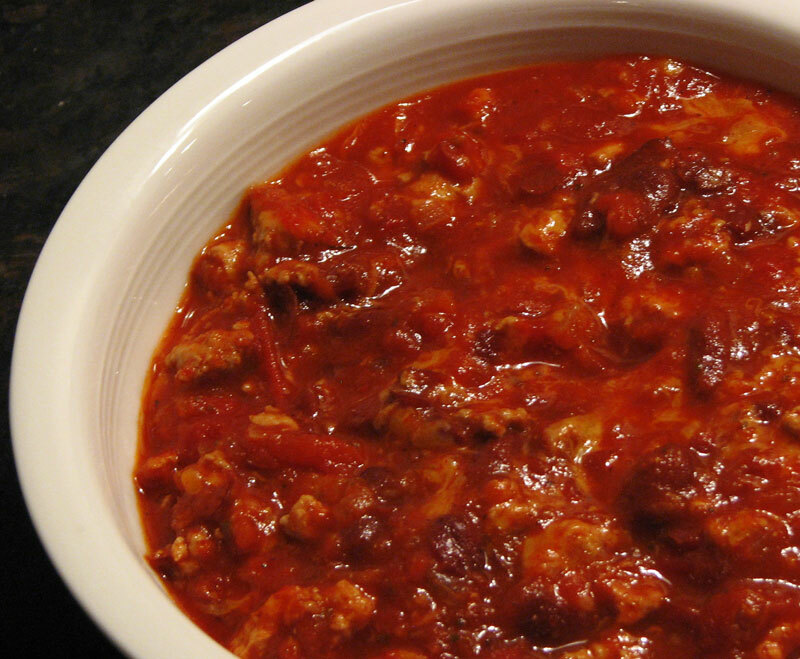 While it’s incredibly good the day you make it, I find that, like most chili, this actually tastes better after sitting in the in the refrigerator overnight. It also freezes really well…then, all you have to do is just stick it in the microwave, and when it’s hot, top it with some grated cheddar cheese and maybe a dollop of sour cream (low fat, if you’re still thinking healthy), and you’re good to go. It also goes great with a thick slice of buttered toasted Sourdough Bread.